One lucky man in France has the honor of being the first human to have a self-regulating artificial heart beating in his chest. 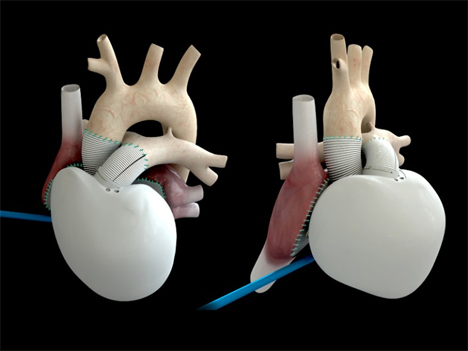 Inventor/cardiac surgeon Alain Carpentier invented the Carmat, an artificial heart that is far different than those that have been in use for decades. 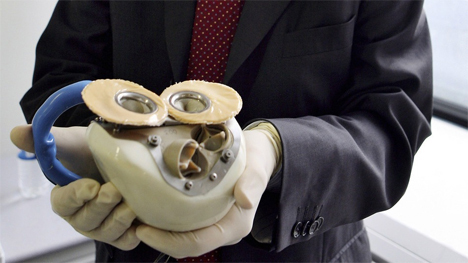 Standard artificial hearts beat at a constant rate no matter what its user is doing. That means that even if a patient is doing strenuous physical activity, the heart won’t beat faster and the person will become fatigued very quickly. The Carmat, on the other hand, contains miniature embedded sensors that will recognize the need for increased blood flow and, using a proprietary algorithm, increase the rate of its pumping. The first Carmat model is a little larger and a lot heavier than a human heart – it weighs around two pounds and is too large for 14 percent of men and 80 percent of women. A smaller model is in the works, one that will hopefully be able to benefit even more patients. The heart is powered by an external lithium-ion battery pack that the patient wears. A fuel cell may be incorporated in future versions of the heart. As for the 75-year-old French man who is now equipped with the bionic heart, he is awake and communicating and doing well. 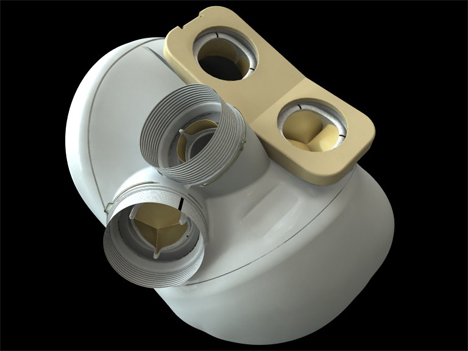 The Carmat heart has a life expectancy of around five years, while traditional artificial hearts can be expected to last for approximately four years. See more in Cybernetics or under Technology. January, 2014.